Tip 1: Dress For Success. Ideally you’ll want to wear dark colors that don’t glow under black light. While accuracy matters more than attire, there is no reason to call more attention to yourself by wearing white. Before you begin play, first make sure you secure your laser tag vest properly. If your vest is too far forward, your shoulders can become very vulnerable and you’ll get deactivated a lot more often in the game. Clip the buckles tight at your waist, so your vest will stay in place and you’ll be able to move around the arena in smooth motions without worrying that your vest is sliding around on your body. 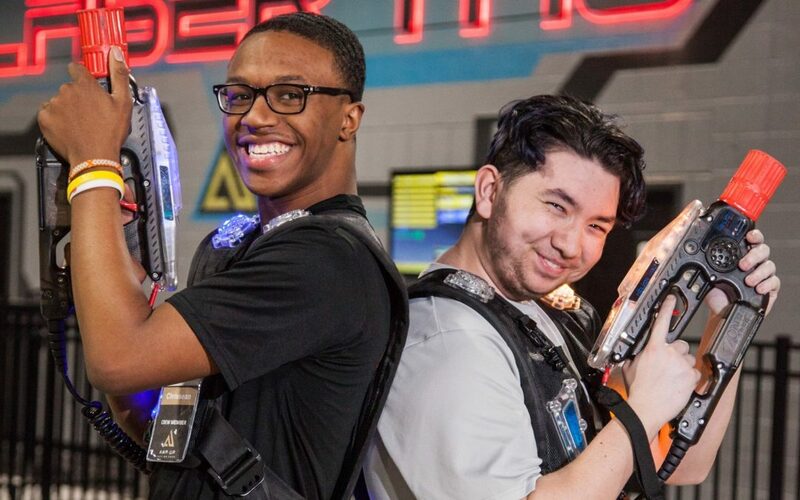 If you need assistance, just ask an Amp Up Laser Tag Marshal to help you suit up. Tip 2: Use Cover for Protection. You don’t want to be a sitting duck, so to reduce your chances of being deactivated you’ll want to keep your shoulders low and hug the wall. Peek around corners while your glowing vest is still covered by the wall. Stay low as you move around the arena. Take out your opponents and clear the area before you walk around the corner and exposure yourself. If you find a skilled opponent who also uses cover to their advantage, don’t forget you can aim for the player’s phaser and tag them out. Anything flashing is a target. Tip 3: Winners Get Points. It sounds simple. The more points you score the better your game and your final ranking. Getting these points is where the technique comes into play. At Amp Up, you gain 2,000 points for tagging your opponent’s base three times in a row. Since this is the most points you can earn in a single effort, you definitely want to set your sights on capturing the base during your laser tag session. When you’re attempting to capture the base, you cannot be tagged out midway through. So the best method is to use the buddy system, where someone covers your back and takes out other players before they tag you. It’s also important to be keenly aware of where your opponents are, tag them first and know the sequence when they’ll reactivate. Get to them first. Tip 4: Practice. Practice. Practice. Learn the arena. With lots of practice at a specific laser tag arena, you’ll get to know the best hiding spots, the best areas to pick off your opponents, and the most vulnerable areas where you could be tagged.  In a super-sized, three-level laser tag arena like Amp Up Action Park in St. Louis, there’s so much ground to cover you’ll want to use your time wisely. A second story look out is great for picking off opponents, but to capture the base you’ll have to make your way to ground level. We find that most new players head straight for the ramp to the second level, so you may reverse this pattern and head for the opponent’s base immediately while everyone else is still find their position at the start of a new game. There you go. Four simple tips to give you more game. We hope applying these tips helps you to become a real sharp shooter! Happy aiming.